( Al Hartmann | The Salt Lake Tribune file photo ) Racks full of snowboards and skis at Moonbeam lift at Solitude Mountain Resort. The fast-growing Alterra Mountain Company is buying Solitude Mountain Resort less than a year after it acquired Deer Valley. “We are especially excited to expand our reach within Utah and offer another ski and snowboard experience in a state known for its exceptional snow and mountain culture,” Rusty Gregory, Alterra’s CEO, said in a news release. Solitude had been owned by Park City’s Deer Valley Resort since 2014. Alterra bought Deer Valley, one of the country’s most elite ski vacation destinations, in August 2017 — but Deer Valley’s original owners had retained Solitude. The sale adds Solitude to a network of 12 other resorts, including Steamboat and Winter Park in Colorado; Squaw Valley Alpine Meadows, Mammoth Mountain, June Mountain and Big Bear Mountain Resort in California; Stratton in Vermont; Snowshoe in West Virginia; Tremblant in Quebec, Blue Mountain in Ontario; Deer Valley in Utah; and CMH Heli-Skiing & Summer Adventures in British Columbia. According to data from the National Ski Areas Association, Alterra is the second most expansive ski resort company in western North America and is nipping at the heels of ski giant Vail Resorts. 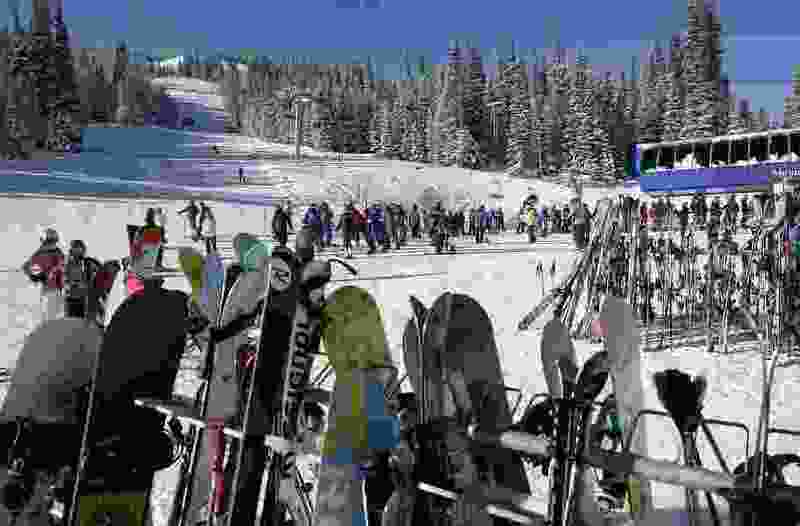 Vail has 14 operations, including Park City Mountain Resort, which it acquired in 2014. Alterra representatives could not immediately be reached for comment. ”More details will be released once the transaction has closed, including Ikon Pass inclusion details and more,” the statement reads.